Are you guilty of tailgating or driving too close to the car in front? If you are, government agency Highways England warns it could only be a matter of time before you crash. 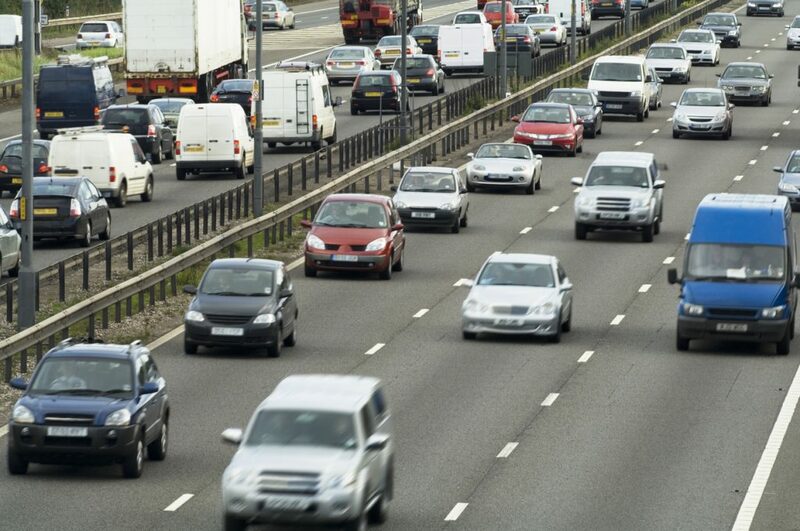 It claims that one in eight accidents on motorways and A-roads is due to tailgating. It adds that about 100 people a year die because of vehicles following too closely. This makes tailgating the third most likely cause of crashes in the UK. It comes behind failing to look properly and not judging another vehicle’s speed accurately. It’s such a problem that Highways England has launched a campaign to draw attention to it (below). Read on to find out why tailgating is so dangerous. Why do road users drive too closely? What should the gap between cars be? You may remember an ad campaign that started in the 1970s claiming: “Only a fool breaks the two-second rule.” This refers to Rule 126 of the Highway Code which states drivers should leave a two-second gap to the car in front. In wet conditions this gap should be doubled. If the road is icy, the gap should be increased still further. Our recent quiz highlighted that two thirds of drivers didn’t know how far behind the car in front they should be. When the car in front passes a piece of static roadside furniture such as a lamp post, bridge support or sign, you should be able to count ‘one hundred and one, one hundred and two’ before your car passes the same marker. If you pass the marker before you’ve finished counting, it’s simple: you’re too close. Ease off the accelerator and measure the gap again. Why is tailgating so dangerous? Bringing a car to a halt involves thinking and doing. The time it takes for your eyes to relay what they see to the brain, for your brain to process that information, and for your leg to get the message to stamp on the brake is called thinking time. At 30mph, the Department for Transport (DfT) claims you’ll travel nine meters (two car lengths) while you think about stopping. At 70mph, that distance is 21m (about five car lengths). Then there’s the actual stopping time. This depends on the weather conditions, the size of your car and the state of its tyres. Although the majority of cars on the road now have anti-lock brakes and stability control, it’s worth remembering that these are designed to improve the driver’s control, not shorten stopping distances. At 30mph, the DfT claims a car will take 23m (six car lengths) to stop. At 70mph, that increases to 96m or 24 car lengths. How big a problem is tailgating? According to Highways England it’s a huge problem. The agency’s research claimed that nine out of 10 drivers have been tailgated or witnessed it. And more than one in four drivers have driven so close to the vehicle in front they think it would have been difficult to stop in an emergency. ..probably to shield themselves from oncoming LED lights! Yes, Paul – all those damned cyclists riding the wrong way on the M3! I agree, tailgating is dangerous, HGV1 Drivers take note you drive on a lot of roads/motorways, leaving just about enough room to fit a dodgem in between you and the HGV1 in front of you. only needs the vehicle in front to do an emergency stop then that’s at least 2 forty foot outfits spread across the carriage ways, leading to serious/fatal injuries to others not to mention the inconvenience to others on their journey by the road having to be shut down. As an retired HGV driver let me say that when we are driving we are much higher than a car and can see far further ahead than a car driver which means we would be braking BEFORE THE CAR IN FRONT OF US! It is time all new cars had cameras fitted as standard. If the driver behind knew he was being photographed he might think twice before tailgating. The number of accidents involving one artic (HGV1) going into the back of another shows what tailgating can do. But, when drivers are paid to be at a destination by a certain time, or within a certain one hour time slot, there is pressure to tailgate. And that applies to all types of commercial vehicle. As for car drivers, getting to that booked appointment on time, or not being late for a ferry or lunch with granny – all these contribute to tailgating together with either breaking speed limits or travelling at the legal maximum. The “just-in-time” warehousing culture has a lot to answer for. I’m quite happy to sit in Lame One from Bournemouth to London because I am retired and leave home with time to spare. But anyone driving for a job or to meet work schedules seldom has the same choice. I was told years ago by an old Army driver that all you need to do is remember 3,5,7,9. Then if the road conditions are good just watch when the vehicle in front passes a static point count to 3 and as long as you don’t pass that point then the distance is ok. if its wet and or raining count to 5, if there is snow around then count to 7 and 9 if there is ice. I try to protect myself by leaving a bigger gap in front of me and slowing down slightly. That way I have my own stopping distance and some extra room to allow for the tailgater. They either get the message and drop back, or If they are not happy with this they will overtake and go and bother someone else. I then still to keep the distance to allow for their error in front of me instead of behind. Unfortunately people will come and fill the safe gap I have created so I drop back again. I do eventually get to my destination! I was taught these techniques with the advanced motorists and RoSPA with whom I have held a GOLD award for almost 30 years. (re-tested every 3 years). Another problem is that when people learn to drive take their driving test, they are usually driving slowly and never get close enough to the car in front, so this situation never comes up during lessons or on test, therefore the distance required is not drilled into drivers from the start and they cannot equate the distance needed. I asked one person how far 2 seconds was and they replied 2 car lengths. Its quite scary out there. Stay safe people. how can you stop the tailgater behind you? At one time heavy British road service drivers use to be the best and safest but now they are some of the worst tailgaters on the road and there is nothing more worrying than to have a dirty great wagon right up your tail end.